For almost three years, like most bloggers, I checked the box when it came to promoting my posts on Pinterest. Three times a week I would pin an infographic from a post, and then I would move on with the rest of my week. There was no real strategy in place. I was just participating at the bare minimum and not getting much traffic in return. Then one day while browsing through an industry blog, I found out about Pinterest Rich Pins. It sounded interesting and easy to add to my blog. I took me all of ten minutes to implement it. A week later, I went to review my analytics in Pinterest to see if the change had made a difference. What I saw completely shocked me. My daily referral traffic from Pinterest has jumped from 100 to 800. I was still plodding along with my three pins per week, but the rich pins integration had supercharged the 400 pins that I had made over the past couple of years. I will break down exactly how rich pins did this later in the article. At this point, I started to take Pinterest seriously and spent a few weeks researching what the top pinners were doing to drive traffic to their websites. I found several techniques that looked promising, but one in particular stood out. The strategy was very simple, and it was something I could apply to the 1000+ posts that I had not gotten around to pinning yet. For the last four months, I have spent about four hours a week executing this strategy. The results from those four hours a week have been off the chart. We are talking about over 150,000 visitors a month from Pinterest. Now that is something that I can get excited about. Before I go into the details of how you can replicate the same strategy with your past blog posts, let’s take a look at why Pinterest traffic is literally 730 times better than the traffic from the other major social media players. A post that gets shared on Facebook has an average shelf life of 3 to 24 hours. That means 24 hours after you share a post on Facebook you are done getting referral traffic. The half life of a Pinterest pin is 105 days. 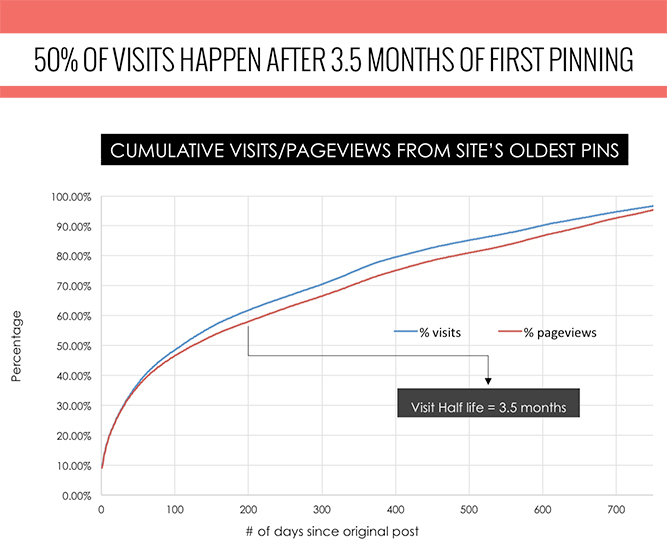 Over 40% of traffic that comes from a pin occurs between month 4 and month 24. Almost two years after you pin your blog post it is still producing referral traffic. Pinterest traffic does not even look like social media traffic. It actually resembles search engine traffic. The reason for this is because most of the long term traffic is driven by user searches within Pinterest. People go to Facebook and Twitter to look at their news feeds. Pinterest users spend most of their time performing searches on Pinterest. Since Pinterest is more like Google, that means your strategy needs to be more SEO than social. Ok… Let’s move on to breaking down how rich pins works and why it produced a huge increase in referral traffic to my blog. A rich pin is essentially a pin that has extra information on it. There are six types of rich pins, which are for apps, movies, recipes, products, places, and articles. I am not going to give you a tutorial on all six types because I only use rich pins for articles, and that is where all of my traffic comes from. Here is an example of what a rich pin looks like. The two identifiers that stand out are the brand mention and the enlarged bold title. Both of these make the pin stand out from the rest of the pins on the feed. They also have a positive impact on the click through rate. Just so you can see the difference, here is an example of a pin that is not using rich pins. As you can see there is no big bold title nor brand mention. The power of the rich pin for bloggers is that is automatically pulls the exact title that you chose for your post as the title of the pin. This is going to happen no matter who pins your post. The reason why my daily Pinterest referral traffic jumped from 100 to 800 is because hundreds of my posts were previously pinned by other people using their own sub par title. When rich pins was applied to all of these pins, the pin titles were updated to reflect the post titles that I had created. Since I optimize every post title for a specific keyword phrase, now all of these past pins by other people were now optimized for Pinterest search. The takeaway here is that rich pins will have the biggest effect on blogs that have titles that are optimized for specific keyword phrases. If your blog gets a good amount of organic Google traffic, then the rich pin implementation will give you a similar boost in traffic. Go to the social tab within your Yoast SEO plugin and check the box that enables open graph meta data. After you complete this step, it usually takes about 7 to 10 days for all of your pins to be updated as rich pins. Now comes the fun part. Once I saw the big increase in Pinterest traffic from rich pins, it made me look deeper to see if there was a way to make the numbers go even higher. On top of having the highest quality and longest lasting traffic, Pinterest also has the best analytics of any social media channel. It is easy to understand, and it breaks down all the key statistics that really matter. Your Pinterest Profile – This shows you everything that is being generated from the pins you are adding through your own profile. Your Audience – This section breaks down your audience by country, metro area, language, and gender. Activity from Your Website – The stats on every pin associated with your blog are in this section. This will include pins made by you and pins made by your audience. I spend most of my time looking at the analytics in the Activity from Your Website section. This gives me the global view of the referral traffic that is being driven to my blog from Pinterest. On top of the general statistics, it lists out the top 50 pins that have generated the most referral traffic in last 30 days. While I was looking through this section I noticed something that stood out. There were six pins that were driving a ridiculous amount of referral traffic to my blog. Each of the pins were using an image that had text on it. Specifically, it was a simple background picture paired with the title of the post. This is known as a textual title overlay image. Here’s a simple example of an image that has a textual title overlay. Here is another textual overlay example that put a little more time into their graphic design. Since I had over 1000 posts that I needed to make custom textual overlay graphics for, I decided to keep my template real simple. This made it easy to knock out about 10 to 15 everyday, and I did not have to spend money on stock images. I was able to accomplish this by using a free template through Canva.com. Once I had the template set up, then I would just change the background color and add the new title for that specific post. The best practice is to use a cool or cute related photograph in the background, but, as I said before, there were over 1000 older blog posts that I needed to do this for. I made a judgement call to save time and money by using just text on a flat color background. A few points to remember about the images.. Tall Rectangles Work Best – 735 pixels wide by 1102 pixels tall is ideal image size for Pinterest. 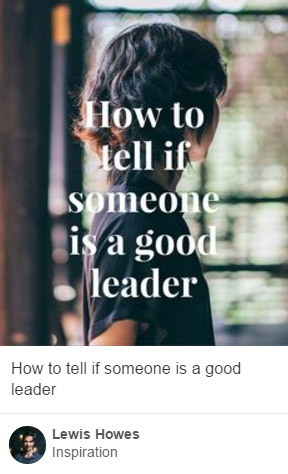 Make Text Big and Bold – Look at your pins in the Pinterest feed to see how easy it is to read the title on your image. Your image will be resized for the feed and for mobile. The title needs to be legible in both. Use Contrasting Colors for the Title and the Background – Keep your text white and use dark colors for the image background. Exactly four months ago, I started investing four hours a week pinning my old blog posts to Pinterest. For each post, I created a custom image using my Canva template that highlighted the title of the post. Then I would pin the titled image for that specific blog post. On average, four hours of work allowed me to pin 50 blog posts. 90% of the time was spent creating the images. In just under 120 days after initiating this strategy, my daily Pinterest referral traffic passed 4000 clicks. After another 90 days, it was still growing and was now over 6000 daily clicks. If you want to find out how I built my blog’s traffic to over 1 million monthly visitors, then I highly recommend that you subscribe to my podcast, The Blog Millionaire, by going here right now. #1 Recognize that Pinterest is More Like Google Than Social – The big money is in residual traffic from Pinterest search, not in the news feed of your followers. #2 Rich Pins Makes Your Post Stand Out and Insures Your Blog Post Title will Be Used for Every Pin – Most of my visitors were writing their own title when they pinned my post, which was not optimized for Pinterest search. 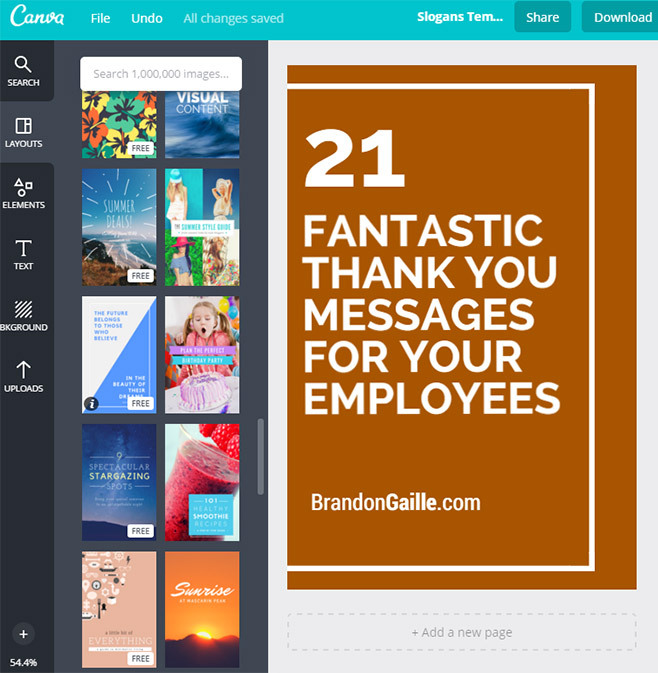 #3 A Tall Rectangular Image with a Textual Title Overlay Drives the Most Referral Traffic – You can use free templates in Canva to crank out this style of image for all of your posts. #4 Go Back And Pin Past Posts that Have Not Been Pinned – Since I was only occasionally pinning my posts, I had over 1000 blog posts that were not showing up in Pinterest search because they had never been pinned. As with most marketing, the success of this strategy is tied directly to the title of the blog post. If my blog posts did not have great keyword rich titles, then I would still be getting only 100 clicks a day from Pinterest. Always, always, remember to take your time to craft a compelling keyword rich title for every post that you make. I break down how to create the perfect title in 17 Ways to Create Catchy Blog Titles That Drive Traffic.